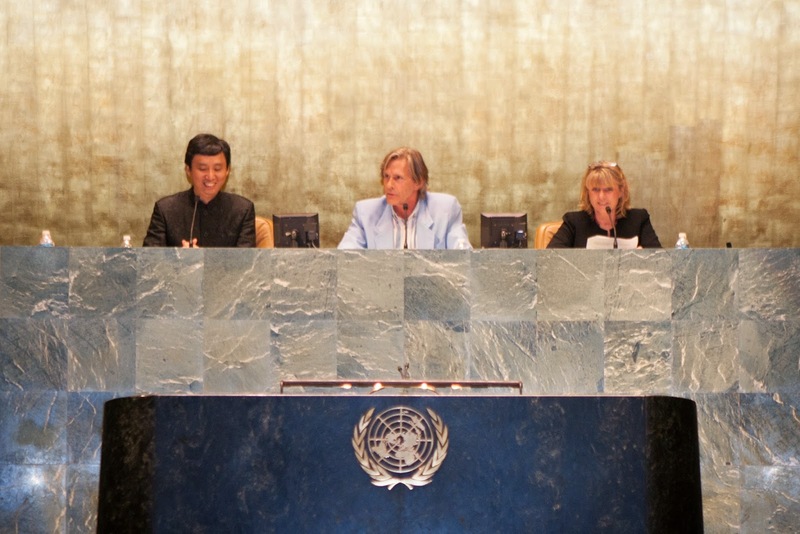 Last Sunday, on the International Day of Peace, my dearest friends and fellow Co-chairs of One Billion Acts of Peace, Dawn and Ivan (each of whom has been nominated 8 times for the Nobel Peace Prize), challenged me to perform or commit to performing a substantial act of peace within 7 days. I accept your challenge, Dawn and Ivan! On 25th October 2014 (Make a Difference Day), Vivianne Harr and I will work together to launch a 30-day stand against child slavery. We aim to raise US$25,000 to benefit Free the Slaves. Watch out for our announcement. I like to dedicate this act of peace in honor of two very inspiring people I befriended recently, Vivienne Harr and Congressman John Lewis. Vivienne is a heroine who, at the age of eight, decided that she wanted to end child slavery worldwide and, by age ten, already raised more than US$100,000 towards that goal. John is a widely-revered hero who spent his life upholding everybody’s civil rights. The contrast between them is beautiful. One a young, idealistic, white lady, the other an elderly, dignified black gentleman. It goes to show that heroes and heroines can be found everywhere, in every social segment, at every age. Thank you, Vivienne and John, for inspiring all of us with your goodness. I hereby challenge three of my friends to each perform (or commit to performing) an act of peace within the next 7 days: Arianna Huffington, Biz Stone and Congressman John Lewis. Remember to also challenge three other people to each perform an act of peace!